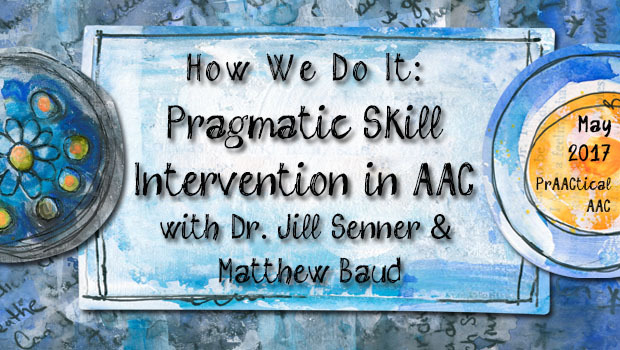 At the CARD 2015 conference earlier this month, I had some great conversations with professionals who wanted to integrate more AAC into their work with beginning communicators. One of the issues that came up was this: What about kids who keep using their AAC to say the same thing over and over? Here are some of the things we discussed. For beginning communicators, repetition is part of exploration. And exploration is part of language learning. Extinguish repetition and we have effectively shut down a tool for language development. Turning off the device, taking it away, or turning the volume controls to silent is NOT an option. (Whew! I can’t tell you how happy I was to hear consensus on that point!) 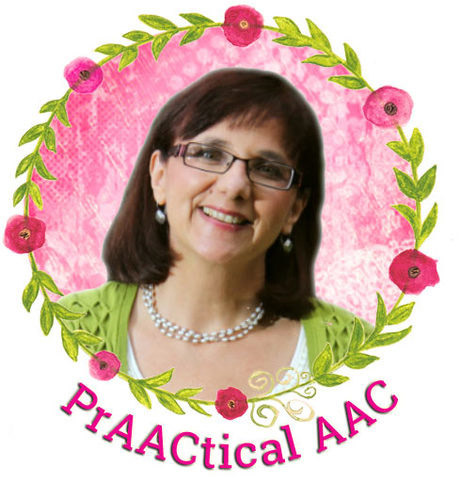 No feeling person would tape the mouth of a speaking child to keep them quiet, and this is the AAC counterpart. Silencing a person by restricting access to their AAC is never okay. Never. 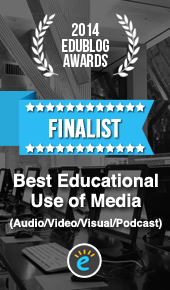 “But they are disruptive!” (Or annoying or distracting or all three!) Yes, that happens. 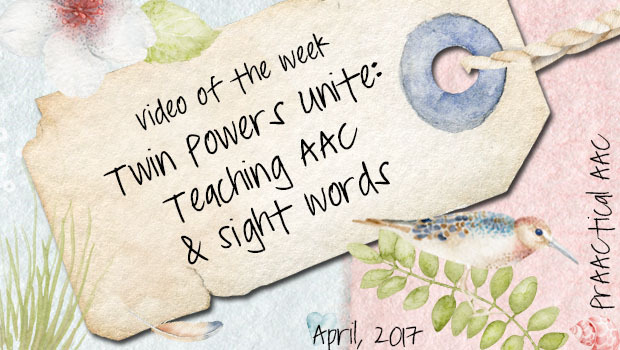 Beginning communicators can be all of those things whether they are speaking or whether they use AAC. It comes with the territory, so let’s plan appropriate ways of dealing with it and train our staff on those. In a perfect world, we can use it as a teaching opportunity by engaging the learners, providing aided language input, and create a brief interaction around what they said. But what about the real world? Well, in some situations, we can just let it happen and ignore it. (As a highly distractible person, I know that isn’t easy! I had to really stretch myself one summer running an AAC day camp for students who did this quite a bit. In the end, though, I got better at it.) When ignoring the repetition isn’t an appropriate option, we can consider using the same consequences we provide to speaking language learners, or use a safety signal or countdown board). “They are just stimming.” Maybe, but I’ve learned not to rush to judgement. What looks like stimming to me, may actually be a learning experience for my student. Proceed with caution. If you’re worried about them stimming, you may want to consult with a good behaviorist who uses contemporary methods to explore this as it relates to your learner. If they ARE stimming, see point # 2. Then examine the environment to see WHY they might be stimming. Is it too loud and they are stimming to block out the commotion? Are they bored? Has there been a change that triggered confusion or anxiety? Addressing those root causes might be the best way to handle this situation. Make it part of the plan. Robin Parker introduced me to the idea of adding “Talk Time” to a student’s visual schedule. “Talk Time” meant different things for different learners, but for kids who were highly repetitive it meant that this was their uninterrupted time to play with their SGD, explore, and say anything they wanted to without standards, prompting, or correction. For some learners, we put this into their schedules for 5-10 minutes each morning and afternoon. It wasn’t a magic cure, but it WAS enough to keep their repetitions to manageable levels throughout the day. I love conference conversations like this because it keeps our focus on intervention, and we can all improve in that area. How do you handle situations like this? We’d love to hear your ideas. At long last, this is addressed! Does anyone know of peer reviewed articles that discuss or address some of these issues? 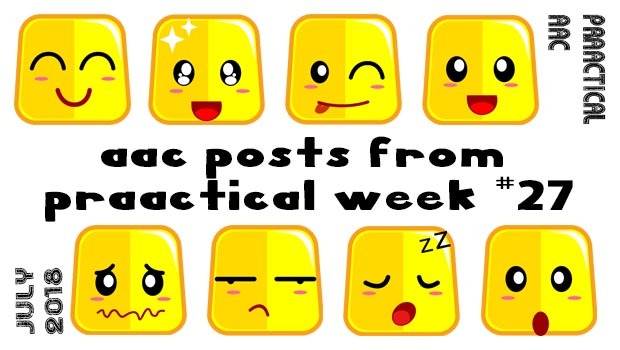 Those of us on the runway, can so relate to the wisdom in this post, so some references might help us support our observations when supporting our AAC learners. I have a 9 year old daughter with Angelman syndrome as well as epilepsy. Her reasoning for repetitive use of her AAC device is always a seizure. She will repeat the same phrase or word over and over. When this happens I know she is having a complex partial seizure. If I didn’t allow her the freedom to repeat herself, I would not know she was seizing. Keisha, thanks for that wonderful comment. I would have never thought of that on my own, but it makes perfect sense!! Another good reason to ‘listen’ to kids and observe carefully, rather than act to extinguish a behavior that we might not fully understand. I think I solved the swimming problem by making a machine adjustment to the press and release time and by not having the entire message stay in the window. I guess he got tired of having to hit the button so many times that he figured the cost was not worth the benefit. I love creative approaches like this, Anka! Thanks for sharing your experience. Well I see I had an unintentional typo “swimming” instead of “stimming.”. Sorry for that. My 18 year old daughter repeatedly says food words over and over. I’m so tired of hearing her say”mac n cheese” or other preferred foods. Seconds after eating a meal, she will talk about the next meal. Perhaps food is an obsession? Any ideas to help stop the cycle. I’m tired of hearing it and even more tired of responding to her on this food topic. I always answer her since I feel it’s more damaging to ignore her when she’s using her device. Isabel- A few thoughts: If she doesn’t have a visual schedule, you may want to make one. It can be as basic or as detailed as you like. Some people use words and some use pictures/symbols. The important thing is she will be able to see when lunch and dinner are scheduled which may decrease the asking. When she does askfor food, you can say, “check your schedule” and go over what activities are next. You may also want to make sure she has enough vocabulary to talk about other topics. Or you could use her interest in food to expand her vocabulary- teach words such as like and my favorite, not today. When one of my students, asked me one time too many about Santa one day. I very playfully said, “Are you kidding me. ?” It’s now one of his favorite things to say on his device! Yes, you should respond, but you can also let her know, you don’t like talking about food all the time. Introduce a new topic, model some new language and sit back and wait. Sharon – if I didn’t thank you at earlier, I apologize. You is exactly the help and insight I was looking for. Taking your ideas, we have taken Hannah to the library to look at cook books with great pictures. Now we are working on adjectives to describe what things might smell or taste like. There’s always great conversations we all have about food. Thanks again!!! -“I can see that you are not listening to me, so I will repeat this until you do so”. -“I wonder how this word sounds, what it means, or what context it is used in”. -“I don’t have the right word to say this, so I’ll repeat this close word to (hopefully) get my message across”. -It might indicate something like a seizure, asthma attack, severe pain, fatigue, or something like that. -If it is indeed stimming, find the trigger and deal with it. My son asks questions again and again and again with his device. We’re trying to figure out how to help him move away from just asking questions as that is all he will do sometimes even though he is capable of forming multiple word sentences. Any tips on how to handle this? Julie, when I had a verbal child that did this I gave him question cards for the day, just a card with a question mark on it. I gave him quite a lot to start with. Every time he asked a question he had to give me a card. When his cars were gone he could ask a question but no one would answer it. He got all the cards back the next day. I gradually reduced the number of cards. He gradually reduced the number of questions he asked!!! I’ve found that when some kids with limited speech press cells repeatedly they seem to be doing it as a form of ‘self-prompt’. They press certain cells as many times as they need until they learn to say the words or phrases. Some times they start repeating after the device only when the are ‘stimming’, or ‘exploring’ but later they start using these words and phrases on their own, without the device. It seems to me the device gives them control over the number of repetitions they need to hear for verbal learning to happen as opposed to depending on a partner saying/modelling the words or phrases to them. I’d also like to mention, as an autistic person, that stimming isn’t actually a bad thing, and your goal doesn’t necessarily have to involve reducing stimming. I’m not an AAC user, but I stim with my voice. I mostly do it because it’s fun. I sing songs or recite lines from my favorite shows or games, or I repeat certain words I like the sound of. The only time it causes problems is if someone else gets confused by what I’m saying, and I just clarify what I was doing. Maybe it would be a good idea to help an AAC user learn to explain to people when they’re stimming with their device vs when they are communicating, if conversation partners often find it hard to tell.